The countdown to Christmas Day is on, and so is the race to ensure that your cards and parcels get to your loved ones before Father Christmas arrives. 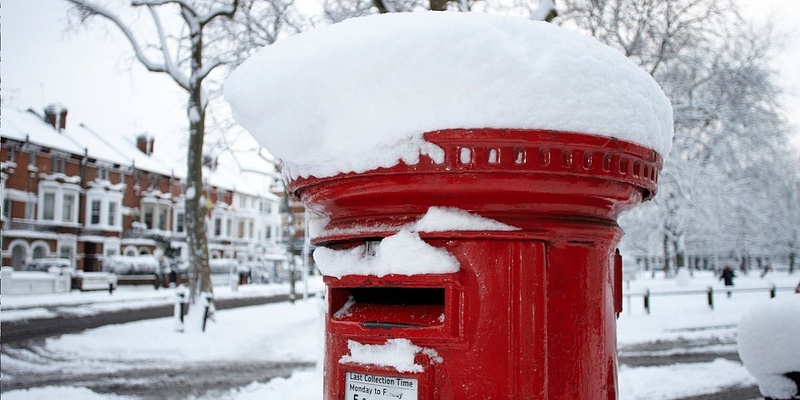 Whether you’re posting a present to Anglesey, Austria or even Australia, we’ve listed the final Royal Mail posting dates below. We’ve also rounded up the last delivery dates for popular online shops, to help you avoid last-minute delivery disappointment. Find out which brands score five stars for their online deliveries in our guide to the best and worst shops and websites. In the table below are the last posting dates released by the Royal Mail. Other courier and delivery companies’ last posting dates vary, so it’s best to check them out individually, depending on what you are posting and the level of service you want to pay for. Check the size and weight of your item before you post, so you know how much you can expect to pay and bring the correct postage with you. All of the international economy posting dates have already passed, but don’t despair – the last posting dates for standard, tracking and signature services are yet to come. Delivery companies, such as Parcel Force, may offer later dates than these, so it’s worth looking for an alternative company if you’ve left it a little late. With a lot of us opting to order our gifts online, it pays to know the last dates that you can order from some of the big retailers. Not only do the dates vary, but the cost of each type of shipping will, too. Mark the final standard delivery date for your favourite online shop in your diary – this will be cheaper than using next day or priority delivery, and may even be free if you spend over a certain amount. Before you shop, check out our guide to the best and worst online shops, to make sure you get a good experience shopping online this Christmas. Dates for clothing, home and beauty products. If your online orders don’t go to plan this Christmas and you end up with damaged or missing deliveries, you have online shopping rights that can help to resolve the issue. Whether you plan to shop in-store or online, check out our guide to your shopping rights at Christmas.